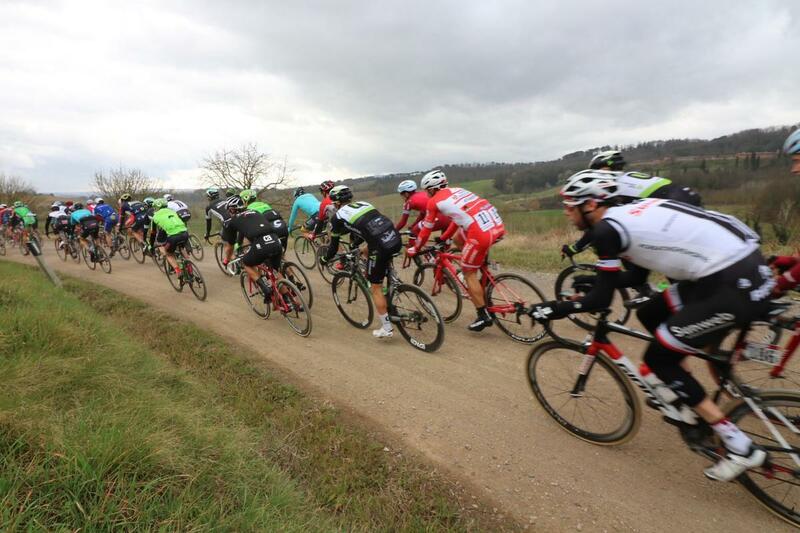 A unique and special race, here's why you should add the Strade Bianche to your bucket list. This is our account of riding the gran fondo in 2017. It's when I crossed the finish line for Italy's newest gran fondo, the Strade Bianche, in Siena's stunning Piazza del Campo that is struck me: here is an event that rivals the iconic Tour of Flanders and Paris-Roubaix in my affections for favourite cycling weekends. It's definitely one to add to your bucket list. Don't get me wrong, I adore the cobbled classics. Flanders and Roubaix are races steeped in heritage. Bikes and beers have been named after them. Thousands, myself included, make a yearly pilgrimage to ride the sportive and watch the pro race, revelling in riding the punishing pave that is the defining feature of each race and the magnificent spectacle of watching the world's best bike racers do battle with each other on inhospitable terrain. Dramatic, exciting, thrilling, these races are my highlights of the racing calendar. Add in the fact you can, for a small fee, ride the sportive on the exact same roads a day before the pros race them, and it all adds up to a great weekend of cycling. And now too the Strade Bianche can be added to such illustrious company. A young upstart in comparison to the elder cobbled classics, the first Strade Bianche professional race was first run in 2007, but unlike Flanders and Roubaix, the gran fondo actually came first and came off the back of the hugely popular L'Eroica event, a celebration for retro bicycles that has been going since 1997. This success spurred the organisers into creating a professional cycling race, and it was so well received that it was decided to move it from its autumn slot to early spring to join the other notable spring classics. 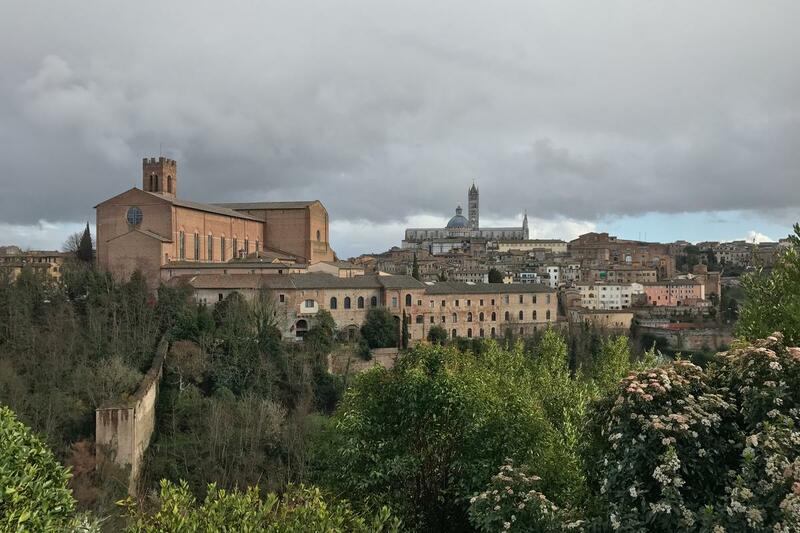 A gran fondo event was added, appealing to amateur cyclists wanting to do their own battle on the Tuscan roads, and the rest, as they say, is history. A modern classic was born. And for the first time, in 2017 it gained UCI World Tour status. There's also a women's race held on the same day. 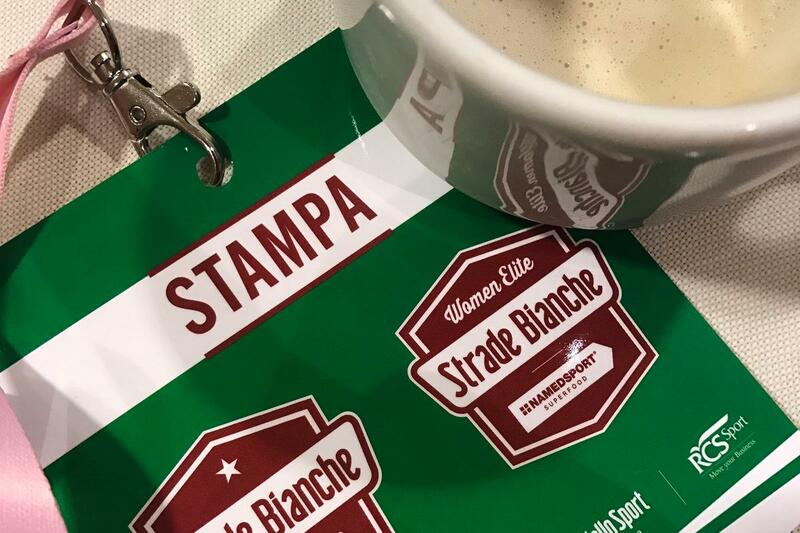 The pro race may 'only' be 175km but 62km of that is the Strade Bianche (Italian for white roads) ensuring that the four hours of racing is action-packed from the beginning. It's short and punchy. This is a race enjoyed by cycling fans that enjoy seeing supreme athletes being tortured and punished on the hardest roads it's imaginable to race over. 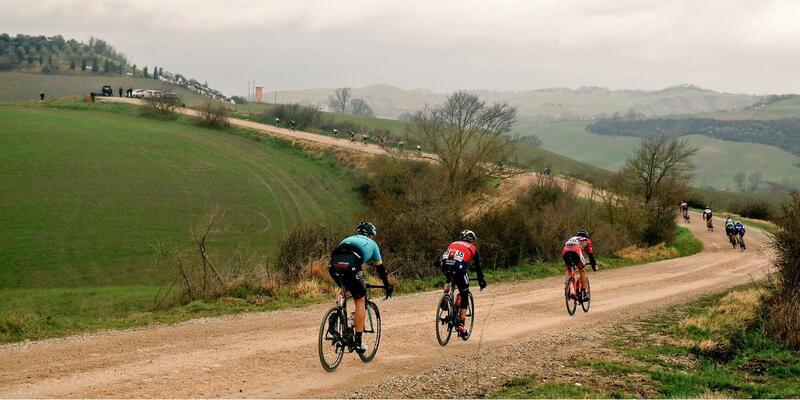 Like the northern classics, the Strade Bianche has that vital mix of challenging terrain and mixed surface that creates unpredictable racing and heroic riding. 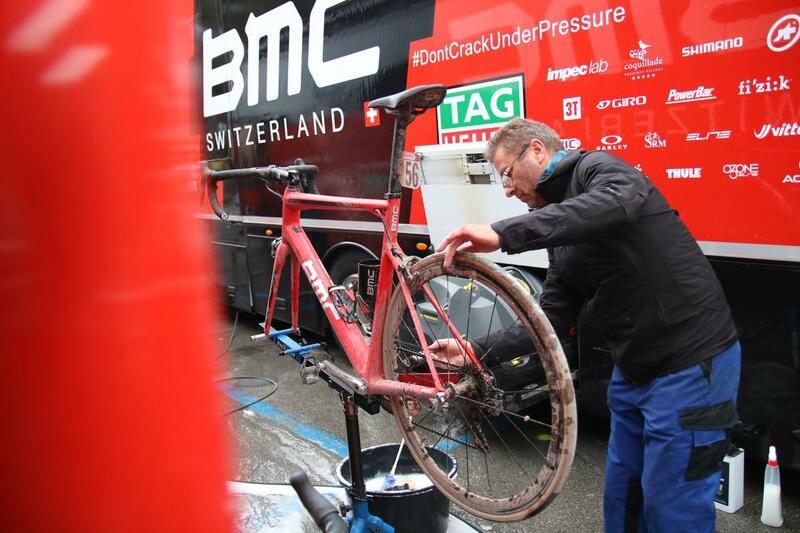 Scenes of dust and mud-splattered bikes and faces are the defining image of the race. Where pave marks out the northern classics from other road races, Strade Bianche has its own and unique unpaved gravel roads that crisscross the lumpy Tuscan countryside through vineyards and sleepy villages. Away from the race, these roads are primarily used by farmers and local traffic are quiet but offer cyclists a largely traffic-free way to get about the beautiful countryside. But racing these roads is tough and challenging, with steep and punchy climbs and unpredictable grip on the descents, with dust if it's dry or mud if it rains adding to the challenge. 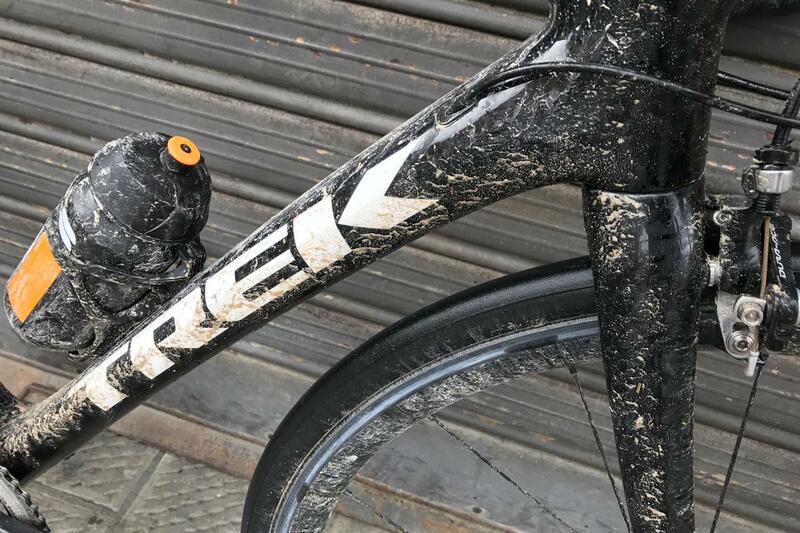 Arguably not as taxing and demanding on bodies and equipment as cobbles of Paris-Roubaix, they're still a test of fortitude and riding skill. They are tricky roads to ride fast and in control, and unpredictable weather can rapidly change the fortunes of racers and reward the brave. If you like riding pave, then you'll love riding the white roads. There's something satisfying about blasting along unpaved roads through the idyllic Tuscan countryside and there's something even more inwardly heroic when, as it did in 2017, lashing down with rain to make the task of completing the gran fondo even more arduous. Clouds of dust are replaced by splashes of white and brown mud, plastering every surface of the bike and caking exposed skin. You can't help but smile and laugh at the sheer lunacy of it all. Riding the white roads requires a technique not dissimilar to riding cobbles. Flat out fast is the best approach but the gravel, especially when dampened by rain, saps energy and slows momentum. Care needs to be taken on descents, made dangerous by unseen holes, braking bumps caused by motor vehicles and patches of deep gravel. The unsuspecting cyclist can easily find a wheel snatched unexpectedly, crashes were a common sight. As if the riding wasn't good enough, another reason that Strade Bianche has, in my opinion, become a modern classic is the finish line Siena's Piazza del Campo, a UNESCO world heritage site and one of the most beautiful finishing lines I've ever ridden across. Whisper it, but it beats many of the finish lines used by the northern classics, even the Roubaix velodrome! This is somewhere you'd visit outside of the race season as a tourist to enjoy the culture and history, taste the local food and wine and drink the best coffee served up anywhere in Europe. Who goes to Belgium outside of the spring classics? 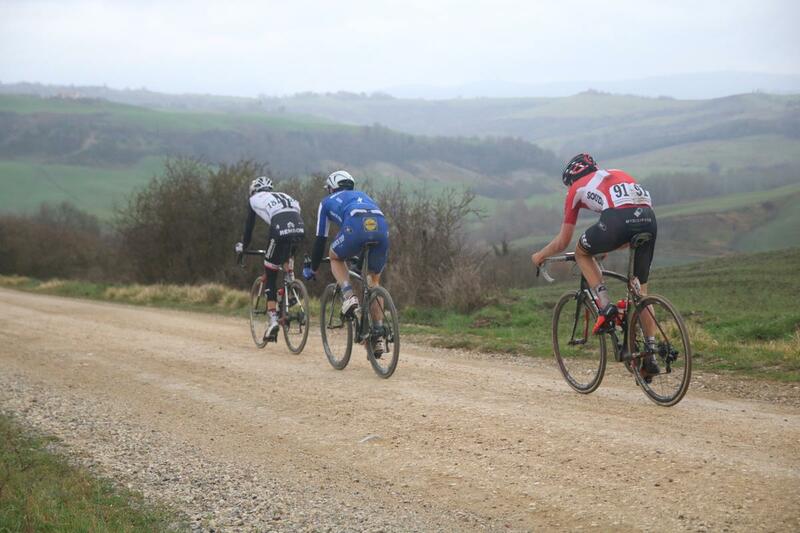 For those reasons you really should add Strade Bianche to your bucket list. The gran fondo is brilliantly organised and offers a taste of the professional race, which is run the day before. It's an easy race to spectate with a choice of sectors that guarantee a large slice of the action and it's relatively easy to catch the race a few times before hot-footing to the Piazza del Campo to see the winner cross the line to rapturous applause by approving and adoring fans. 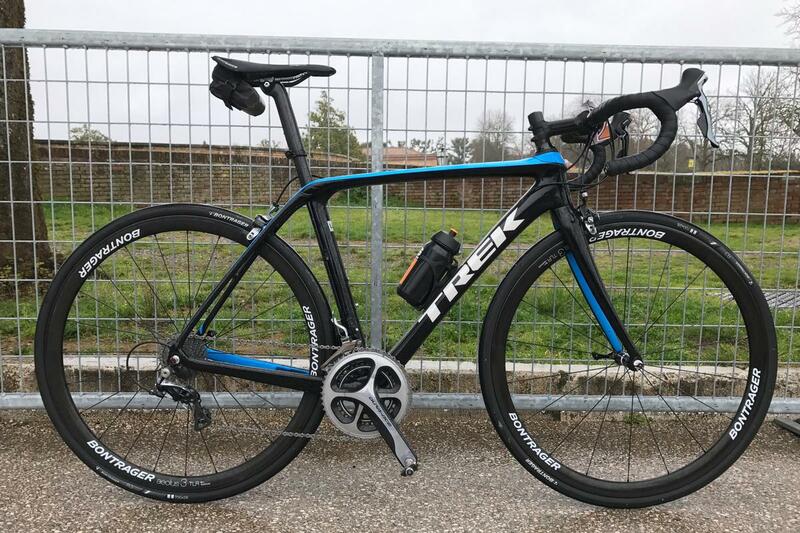 The bike I chose to ride the gran fondo was the then brand new Trek Domane SLR, a bike designed expressly with the brief of being fast and comfortable on rough roads. It was ideally suited to the white roads. This is a bike that won its first ever victory at this very race, with Fabian Cancellara winning his third edition of the race back in 2016. You could say the bike was born for this type of racing. With its second generation IsoSpeed decoupler providing a wider range of adjustable compliance compared to the original Domane, coupled to the new front IsoSpeed and a new IsoCore carbon handlebar, the bike provided an impressively smooth ride over the rough gravel roads. 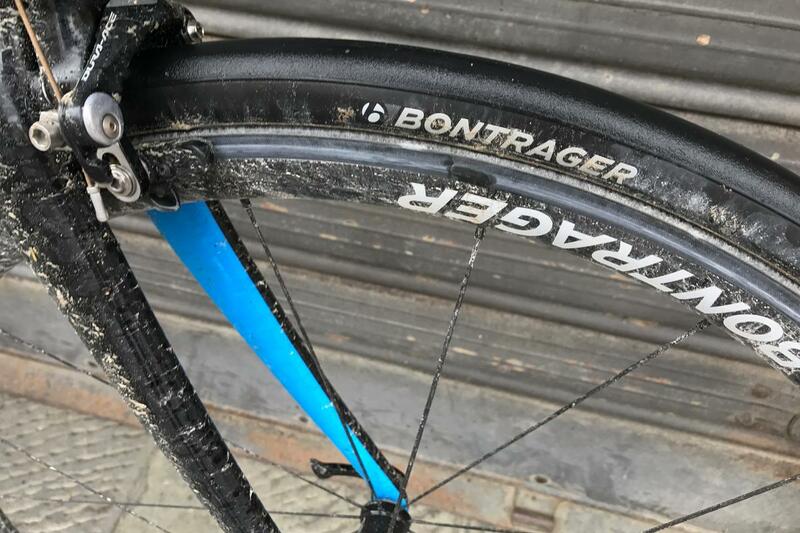 I was glad of the 28mm wide Bontrager R3 tyres, providing another level of cushioning to take out the impacts from the holes and bumps on the white roads, as well as providing more traction and sure-footedness on the slick wet tarmac main roads. The conditions absolutely pasted the bike with relentless road spray and grit, but it kept working admirably well throughout it all. The Dura-Ace gears kept on shifting and the braking on the carbon Aeolus 3 TLR wheels was commendable. 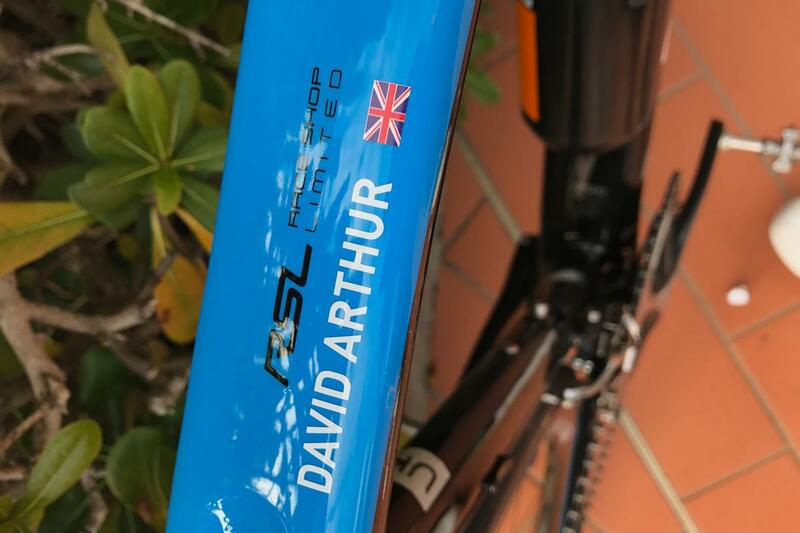 The RSL (Race Shop Limited) bike has the more aggressive H1 geometry, the same as Cancellara and the other pro racers uses, and the low-slung fit and position suited me really well. It's as racy as I would ever need and I would not have any issue with using this bike in a road race. It used to be that sportive bikes were compromised in performance but that's not the case with the Domane SLR in RSL guise. It's as sporty and fast as I would ever want, as rapid as a whippet at full chat, yet it's comfortable and smooth when the road surface takes a turn for the worse. It's all the bike one would ever need if riding fast and long distances are your thing. 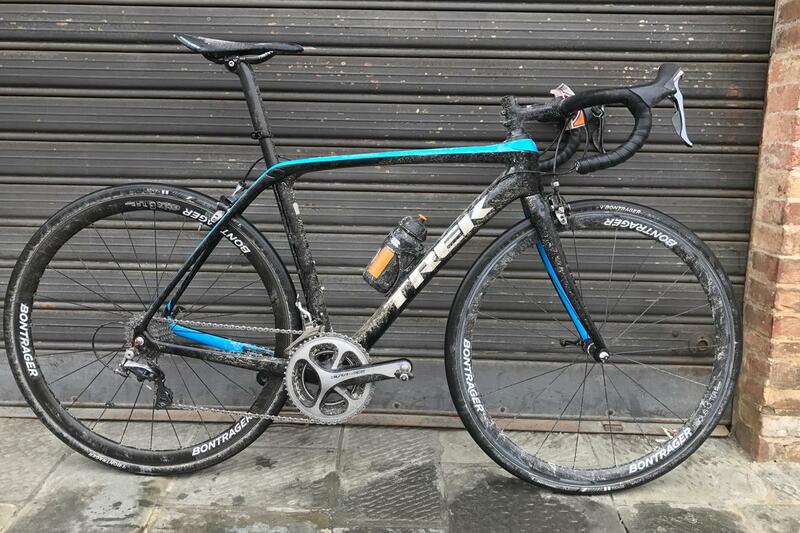 It was the ideal bike for the Strade Bianche gran fondo.